Hans Peters studied natural sciences, law and political sciences after the First World War and became a jurist and political scientist. 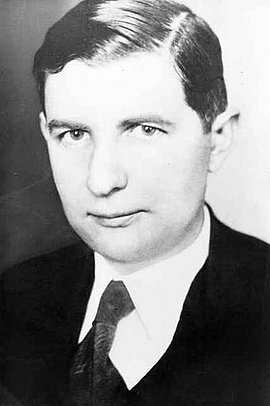 A member of the Center Party from 1923 on, he began a career in administration; after gaining his accreditation as a university teacher he worked simultaneously as a senior lecturer at the University of Breslau from 1925 to 1928. The Prussian minister of culture, Carl Heinrich Becker, appointed Peters to a post in the ministry, where he soon became general adviser for universities. In the same year he was appointed to a chair at Berlin University. In 1933 he was elected to the board of the Görres Society, a Catholic institution that rejected the National Socialist regime’s claim to authority over belief and ideology. In 1932 Peters represented the Prussian Government at the Constitutional Court after Franz von Papen’s coup. After the National Socialists took power, Peters maintained contact with his political friends from the Center Party, especially the different circles around Bernhard Letterhaus, Jakob Kaiser and Josef Wirmer. From 1940 on Peters was also in close contact with Helmuth James Graf von Moltke and Peter Graf Yorck von Wartenburg. From 1941 on Hans Peters played a role in the Kreisau Circle as an expert on cultural and university matters. He took part in the first and second major conferences of the Kreisau Circle and in many other discussions, and had contact to the Bishop of Berlin, Konrad Graf von Preysing. As a member of the Air Force Command Staff in Berlin, Peters was able to establish close links with resistance groups in Berlin around Ernst von Harnack and Ruth Friedrich who were mainly concerned with helping Jews whose lives were in danger. Although Peters was a member of the inner Kreisau Circle, the Gestapo failed to discover his connections in its investigations after the unsuccessful coup attempt of July 20, 1944. Hans Peters survived the war and became one of the founding members of the Christian Democratic Party (CDU).